This is a collaborative post that contains gifted items and affiliate links. So it’s been a week already since Emmy arrived, how?! I think because I spent a few days in hospital, that time doesn’t feel like it “counts” as such – we’ve only had 4 actual days at home. But in that time, I’ve been mentally praising a number of saviour products that I’m SO glad we’ve acquired. Some of these we’ve had to buy over the past week as we discovered we had need of them, some of them we already had in preparation. The biggest thing I’ve learned is that you need to be organised. Like really organised. We’re doing a combo of breastfeeding and feeding expressed breast milk at the moment, so it means that, if I don’t want to get out of bed another time in the middle of the night and come downstairs for all the equipment I might need for that, I need to remember to take it upstairs with me. Ditto the muslins, lip balm, snacks, spare change of clothes in our bedroom (whoops, nappy explosion at 3am!) and more. We’ve also needed to be totally on top of washing clothes and washing up. Fortunately Ben quite likes doing washing (I know, weird), so Emmy’s had plenty of lovely things clean and fresh to wear. So obviously this list is missing things like nappies, clothes etc. The obvious! But here are the items that I’ve found absolutely essential and super handy during Emmy’s first week of life and early days at home. Everyone said to me, “Get ALL the muslins, you’ll need them ALL!”, so I stocked up. I was a bit uncertain on what I’d need them for, but I’m learning quickly! I tend to have 2 on hand at all times, for mopping up any milk leakage (either from me or Emmy’s mouth) and for impromptu blankets. We’re also using lots of blankets as the hospital told us to have two on her to keep her warm at the moment. I’m not entirely sure I agree that she needs two on top of her clothes at all times, but we’ve been swaddling her in one – she loves throwing her little arms around! – and tucking her under another whenever we put her down. Luckily my grandma has knitted us several, and we’d bought a few others in advance – above is a super soft Winnie the Pooh blanket from Primark, it’s surprisingly lovely! This silicone breast pump was something I wasn’t expecting to get, but the midwife on her first home visit pulled one out of her handbag and told us how much she recommended it, particularly since we’re combo breast and bottle feeding. The reason is that you pop it onto the other breast while you’re feeding from one and it collects the drippage. I thought this would be tiny amounts, like barely a teaspoon, but I seem to be collecting 30-40ml just from this! All of this gets popped in the fridge for later on, and it all adds up quickly. This was a TOTAL revelation! Before that I was having to express by machine an extra time a day to make sure I was plenty stocked up, but this works well enough to cover that extra time. It’s basically a cheap version of the Haakaa, which I’m sure is awesome, but this works just as well at a better price! I’m also using a Philips Avent Ultra Comfort Double Electric Breast Pump. I’d originally bought a different pump, but after using the one they lend you in hospital which required leaning forward, Ben decided to find me one that wouldn’t break my back. This one also has cushioning on the inside so it’s really comfortable to use. It was pretty expensive, but it’s been totally worth it for this gorgeous little girl who struggled to feed from breast at first because she was a bit jaundiced. So the first couple of nights Emmy was born, I slept about 2 hours…in total. Considering that I’d been in labour the full first night after a 5.30am wake up call with my waters breaking, then had 2 nights of about an hour’s sleep each, I was feeling exhausted! I was too busy staring at her the first night, then trying to get the hang of feeding the second night. Sleep is super important when you’re looking after a baby – when you’re trying to get your head around all these new experiences, trying to keep organised, trying to remember everything, and just being totally in love with a new person, there’s a lot going on in your brain. On top of that, sleep is, of course, ridiculously important for a new baby – this is how their brains absorb all the new information they’re taking in, and it gives you the time to get some rest too! MyHummy is a white noise machine that looks like a cute cuddly bear but hides a beating heart. It connects to an app that has the option of selecting several different types of white and pink noise including waterfalls, heartbeats and ocean waves. In addition, the heart can be removed and popped into a portable pouch with a teething ring that can be attached to a pram and taken anywhere with you. Emmy has fallen totally in love with her Lena, as have we! She’s not a big crier (yet! It’s only the end of her first week alive, so I’m waiting for the big screams to hit! ), but at the first sign of any cries and after her night time feeds, we hit go on Lena and Emmy dozes straight off to sleep. I have to admit that I’ve actually set Lena’s heart off when Emmy is already asleep too and I’m not yet – it turns out that I really like white noise too! I’ve never been a good sleeper but, even with all the thoughts buzzing in my head right now, I’m finding that as soon as I start Lena going, my eyes start to feel heavy! 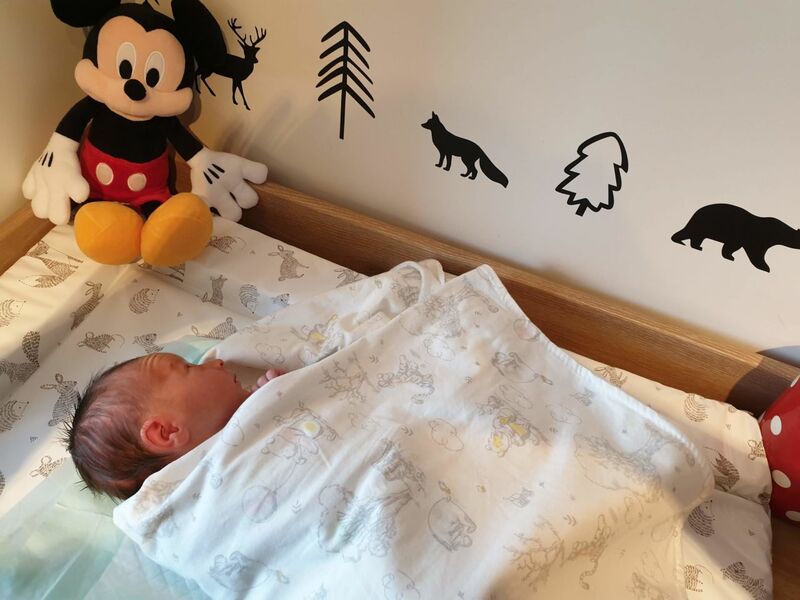 Ben’s said he’s also finding it’s helping him drop off too, and we’ve both woken up today feeling pretty refreshed – for week 1, that’s a huge success in my book! Keeping track of how much Emmy is eating and when she has dirty or wet nappies is really important, especially during this first week. The Huckleberry app is one that was recommended on Reddit and I really like it. It has the capability to time your feedings, add them manually, record which side you’ve fed from and record nappy changes. It can also track sleep and expressing, but I haven’t been using these functions. It was super handy when the midwife asked how many feeds we’d had in 24 hours and how many nappies. 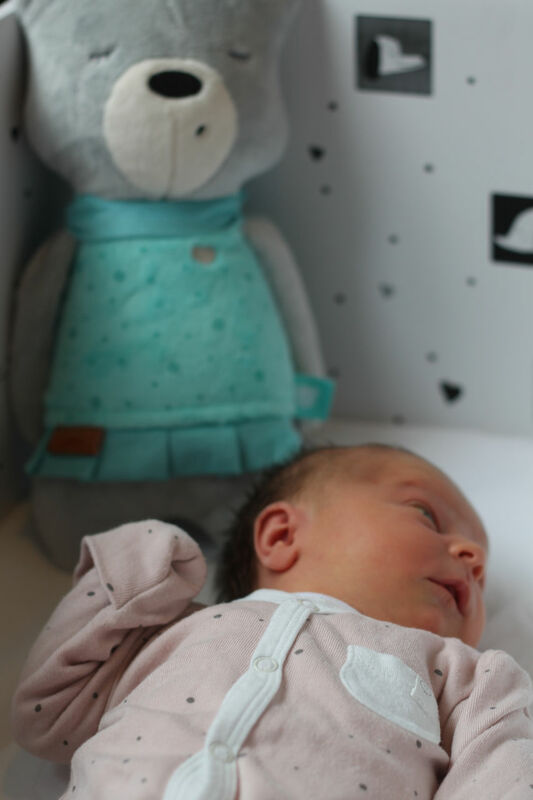 So last night, we had a bit of a spillage – I dropped the silicone breast pump on the bedroom floor at some point in the middle of the night without the lid on…let’s just say carpets absorb 70ml of breast milk quite well! I’ve always liked having carpets in living areas of houses (in fact, it was the one thing I was looking for in a house when we moved out of our Newcastle student flat! ), but nowadays I’m changing my mind on that. We have this laminate flooring in our bathrooms and kitchen (take a look here for when we renovated the kitchen and our en suite bathroom), and they’re SO much easier to keep clean. Fortunately Ben likes doing this job too (he’s been Hinched!) 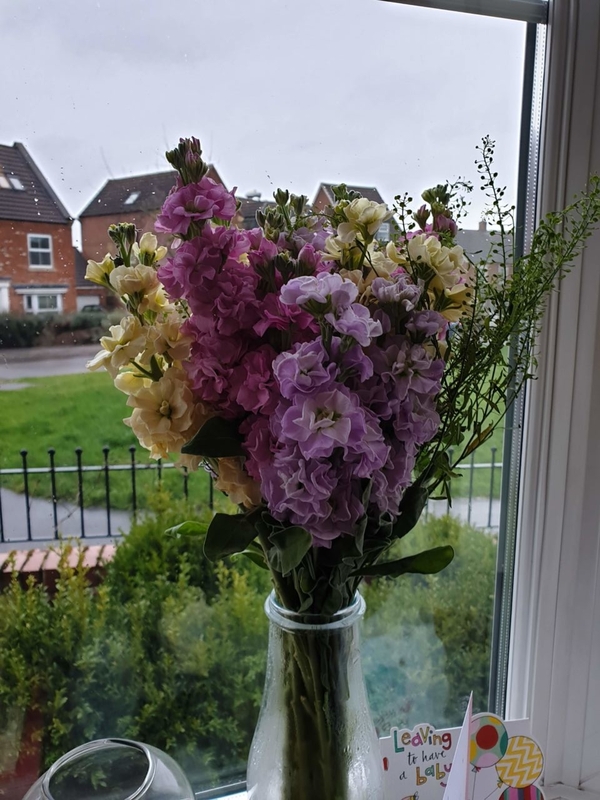 and had invested in some new cleaning products prior to Emmy’s birth to keep the floors (and the worktops) clean – we’re currently using Method cleaners and obsessed with the scents. The scents are amazing – Wild Rhubarb, oh my goodness! – and they’re eco-friendly, biodegradable and non-toxic. The floor cleaner is this almond scent which is just lovely! In terms of laundry, we had to invest in some new products to keep both Emmy’s clothes and our clothes clean that were also non-bio with fewer chemicals. 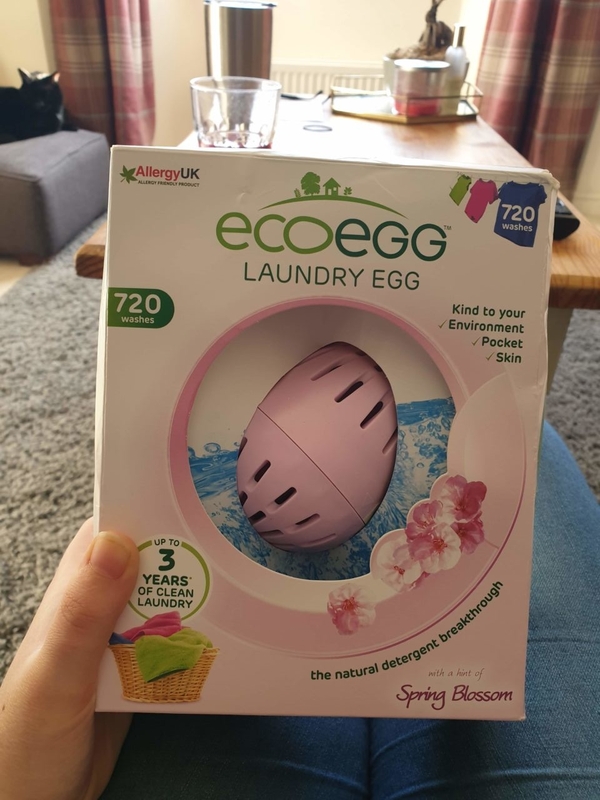 We did some research and came across the Ecoegg – you literally fill it with the beads it arrives with and it lasts for 720 washes! We got the Spring Blossom version and it smells SO good. Not only is it eco-friendly, it’s also hypo-allergenic and saves money, as well as space, actually! We also grabbed a dryer egg version too which reduces drying time, softens fabric and makes the laundry smell even nicer too. 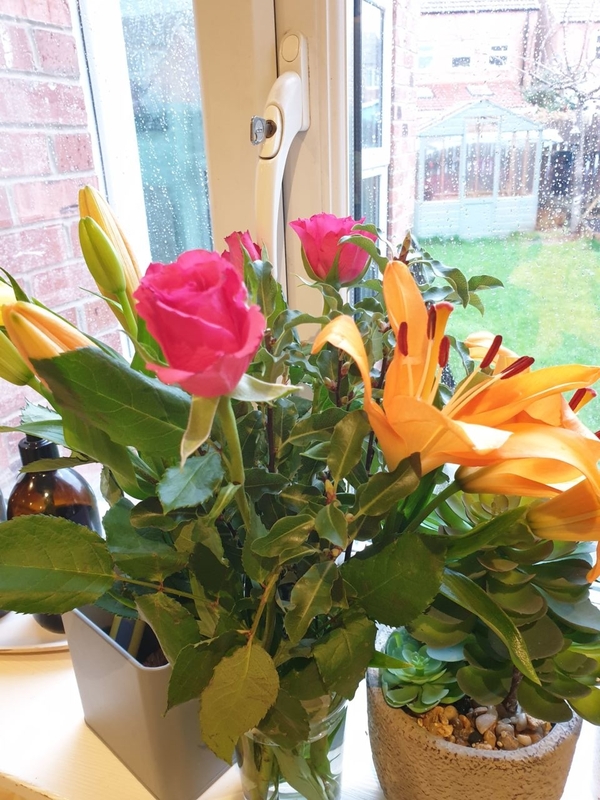 Random one, I know, but I had to throw it in – people like to send you flowers when you’ve given birth! 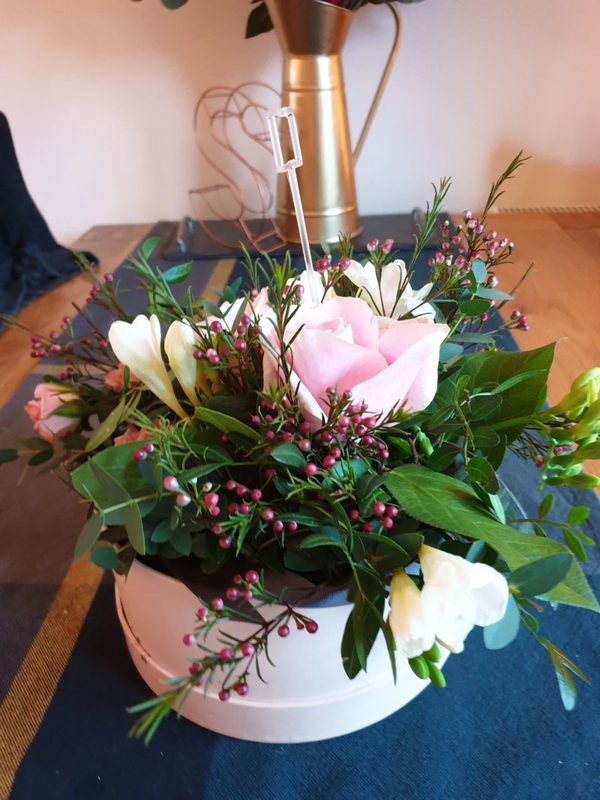 We’ve had some absolutely gorgeous bouquets of flowers, but we quickly realised we were running low on places to put them! 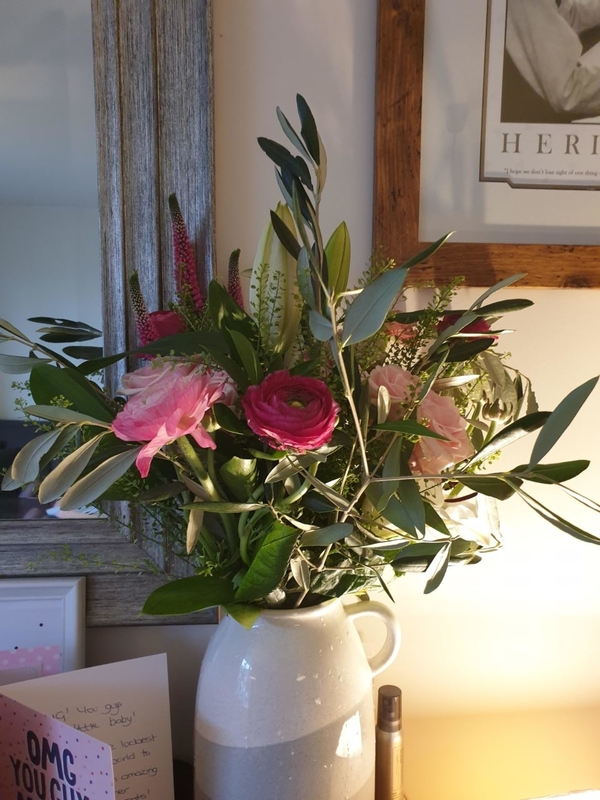 I’d recommend making sure you’ve got a few empty vases as you approach 40 weeks! Finally, and don’t tell Ben I said this, but our Alexa devices have been totally invaluable – really mostly for telling the time! As soon as I start feeding, I either ask Alexa what time it is or get her to start a timer – that way I know how long we’ve been going. We’ve also been using her to play lullabies and white noise, as well as to dim the lights and turn on the lights for middle of the night feeds, plus turning off the TV, just because! It’s super handy when you’ve got your hands full of baby!